I don't want to grow up, because then if I did, I'd have to admit how black people are responsible for the closing of the Ferguson Toys 'R Us! Outside investors interested in opening a national chain in a city evaluate a community based on this invisible currency: individuals who collectively create high levels of social capital in a city are rewarded with businesses relocating there, because they possess the purchasing power required with returning profits that keep investors happy. Collectively, a community made-up of individual black people will be hard-pressed to attract national chains that don't have "dollar" in the name, or ones that don't specialize in title pawns or cash-checking. But, to truly understand the damning consequences of the black undertow submerging a once thriving white suburb, it's incumbent upon economists concerned only with in-the-black spreadsheets to understand the Visible Black Hand of Economics. Back in 1990, the city of Ferguson, Missouri was 73 percent white. The last time a U.S. Census had been conducted, Ferguson was 85 percent white (1980). It was this simple market research (demographics) the corporate custodians of Toys R Us utilized to build a new store in Ferguson back in 1989. Back then, the citizens of 73 percent white Ferguson boasted purchasing power, and an overwhelming desire to keep their white kids and white grandchildren happy by purchasing the hottest toys to ensure they'd stay a Toys R Us kid (point of fact: my realization of the consequences of the black undertow was triggered by witnessing a once-thriving mall - with a standalone Toys R Us located only 400 yards away - close within a span of 15 years). But Ferguson is no longer the same place as it was when Toys R Us opened in 1989; the city is 70 percent black and less than 26 percent white. White children are all but gone, with white grandparents merely watching the equity in their houses decline each year as the percentage of the black population increases. And you can't buy toys with an EBT/Food Stamp Card. Recall, St. Louis County (different from the city of St. Louis) is just over one million people in population. It's home to Ferguson, a city where Section 8 voucher holding blacks have flocked to in the past 20 years. Those numbers were from 2009, before President Obama embarked on a crusade to equip any non-white capable of filling out a form with a shiny EBT/Food Stamp card. The Toys R Us store in Ferguson, which was burglarized during last year’s unrest, will close at the end of March, the company confirmed Tuesday. The store, open since 1989, will close “to prepare for the sale of the property,” said company spokeswoman Alyssa Peera. The store was “not meeting the needs of the business,” Peera said. “That is separate from the events that took place,” she added, referring to the protests and looting. “We have enjoyed serving the Ferguson community for many years. At this time, we do not have any plans for a new store in the Ferguson area,” she said. The store is at 10895 West Florissant Avenue, near Interstate 270. Peera noted other Toys R Us stores, including locations in Chesterfield and Sunset Hills, remain in the St. Louis area. The 46,000-square-foot Ferguson store employs 36 people. The company said it will place as many as possible at its other stores. On Monday, a store employee told the Ferguson Commission that workers had been informed of the store closing. “We can’t afford to fix our store, pay the bills and pay the workers,” said Kaylen Smith, 18, a senior at Hazelwood East High School. “None of that is accurate,” Peera said. Toys R Us is a closely held company with more than 1,500 stores in 36 countries under the Toys R Us and Babies R Us brands. The company, which canceled an initial public offering of stock in 2013, posted a decline in holiday sales last year for at least the third year in a row. For millennials, the whoosh of air felt when the automatic doors opened to welcome you into Toys R Us is a fond, fond memory of being a child in the closing decades of the American Experiment. But those memories were only possible because of the individual contributions of white people who collectively created the social capital necessary for a Toys R Us to open in your community, to serve those white parents and white grandparents searching for the perfect toy for their children. Shouldn't it be: "Black People are to be blamed for the worst parts of American History?" New York City Police Commissioner William Bratton's statement that "police are to be blamed for the worst parts of black history" was a powerful testimony for how a white person must advance their career in Black-Run America (BRA). No individual pointing out it is actually black people who are to be blamed for many of the worst parts of American history will ever advance to any position of authority in BRA. NYC Police Commissioner William Bratton: "I blow with the wind, and the prevailing wind happens to be from Black-Run America (BRA)." With Bratton throwing police under the bus (absolving black individuals from the unlawful choices they made that ultimately led them to jail), it's important to look at this story out of St. Louis. The best police officers don`t just fight crime, they try to stop it before it strikes. That might mean checking on something suspicious that`s not part of a regular call. Fox Files investigator Chris Hayes found the pre-emptive strikes dropped dramatically last year in St. Louis City. The numbers are down so much, some are asking if that’s why the entire second floor of a St. Louis jail is empty. Police Chief Sam Dotson warns not to jump to the conclusion that this is bad. Dotson said his officers are ‘back in the trenches and doing their job.’ He said pro-active interventions are rising again. Numbers provided by the St. Louis Metropolitan Police Department show a downward trend, last year, in the number of what`s called Self-Initiated Activity’ or S.I.A. S.I.A. might start with checking to make sure a door locked or stopping a suspicious vehicle or person. It can lead to stopping criminals before they strike. The numbers show a high last year of more than 21,000 S.I.A. in March, now down by more than half to about 7,000 in December. Though Dotson warns that the drop in S.I.A. doesn`t tell the whole story. During a period in 2013, he said crime also dropped along with Self-Initiated Activity. He added, ‘That means police officers` activities were paying dividends. They were stopping the right people. They were in the neighborhoods experiencing crime. Officer Darren Wilson was just doing his job on August 9, 2014, when he pulled upon two black males walking in the middle of Canfield Drive in Ferguson, Missouri. Shortly thereafter, his actions in using his sidearm to subdue one of those jaywalking black males (who was trying to acquire Wilson's gun to kill him with it...) became a rallying cry for black people - and their Disingenuous White Liberal allies - everywhere to basically spend the latter part of 2014 continuously saying exactly what Commissioner Bratton just said. Never mind had Michael Brown complied with Officer Wilson's request to get out of the middle of Canfield Drive and walk on the sidewalk he'd still be alive (not to mention had he actually paid for the cigars he stole only minutes earlier), the real evil in this situation is that the police officer dared to try and maintain some semblance of law and order in 70 percent black Ferguson. With leaders such as Commissioner Bratton and St. Louis Police Chief Sam Dotson purportedly on the side of police, why not just turn a blind-eye completely when black males walk in the middle of busy streets or steal cigars? After all, no one wants to be next white sacrificial lamb to an ideology continually in need of more individuals to slaughter, for BRA must always be satiated with a new racial controversy to exert moral superiority over those philistines who dare believe Officer Wilson or George Zimmerman shouldn't immediately be executed for their criminal transgressions against blacks. "Section 8 Vouchers is the most monstrously conceived and dangerous communist plot we have ever had to face." Dr. Strangelove, how a nuclear bomb piloted by Slim Pickens would be welcomed today! Instead, we get a world gone mad. Where the prevailing paradigm is one dedicated to the preservation of nothing more than the lunacy conceived by bureaucrats intoxicated by their own pusillanimous predilections. And the prevailing winds blow from a staunchly rotten capital, dedicated to the proposition all non-white men are treated unequal and with extreme prejudice. For the first time in five years, the St. Louis County Housing Authority is accepting new applications for Section 8 housing vouchers. Through the program, which is funded by the federal government but run by local housing authorities, low-income tenants spend no more than 30 percent of their income on rent, and the authority covers the remainder of what’s owed to a landlord. Nearly 6,000 households use vouchers received from the county housing authority. The county added 6,000 people to the wait list when it was last opened in 2010. The list has dwindled to about 500, according to director Susan Rollins. When it was last opened, about 30,000 people applied during the six weeks that applications were accepted. On the Saturday morning in 2010 when the authority began taking applications, a few thousand people were already waiting outside of its offices on Natural Bridge Road before the doors opened. To prevent a repeat of that scene, the county is now using an online registration system. Instead of a first-come, first-served process, applicants are randomly selected through a lottery system that will narrow the pool to a final 6,000-household wait list. That doesn’t mean the authority will turn applicants away at the door, she said. The city of St. Louis also experienced challenges in 2007 when would-be applicants rushed the authority’s doors on the first day applications were accepted. The city reopened its waiting list last summer — for the first time in seven years — and used online applications. During the one week the city waiting list was open, more than 27,000 people signed up. Never forget: the story of Ferguson, Missouri is nothing more than the logical conclusion of Section 8 Vouchers: the ruination of social capital and the advancement of the same conditions terminating civilization from which those awarded vouchers escaped from. The Africanization of America, via state decree. There would be no Darren Wilson-Michael Brown confrontation without Section 8 Vouchers. Stores in Ferguson wouldn't be closing were Section 8 Vouchers not importing the very people responsible for the creation of conditions where poverty flourishes in downtown St. Louis. Property value for those owning homes in Ferguson wouldn't be declining were it not for Section 8 Vouchers importing Africans in America to the once serene and all-white suburb of St. Louis. But those in search of Section 8 Vouchers in St. Louis (to magically be transported not to the land of Oz, but the world of white people!) to momentarily enjoy a reprieve from the type of community Africans in America create have no problem engaging in violence to get a better spot in line. Dec. 7, 2007, won’t be forgotten anytime soon in the halls of the St. Louis Housing Authority, at 3520 Page Boulevard. It was Application Day. The demand to get a place on the waiting list for Section 8 vouchers was so great, people rushed the front door. Police stepped in to disperse the crowd. “We had to close the thing down because there were too many people,” said Cheryl Lovell, executive director of the housing authority. Over 8,000 names eventually landed on the waiting list that week in 2007. Now, seven years later, the application pool has nearly dried up. The housing authority announced Thursday that a one-week window to pre-register for the income-based rental assistance program will open again July 14. The agency has been planning for the event for months in hopes to avoid some of the previous struggles. The main difference will be an online option. Applications can be submitted 24 hours a day at slha.org. The housing authority expects more applicants this time around, perhaps 10,000. No new vouchers were issued from the middle of 2012 through 2013 because of funding cuts. Lovell said Congress ultimately decides the speed of getting through the waiting list. The Housing Authority of St. Louis County uses a lottery system for its Section 8 waiting list. In April 2010, the county opened its waiting list for two weeks. About 30,000 people signed up. Of those, 6,000 won a randomly selected spot on the waiting list. 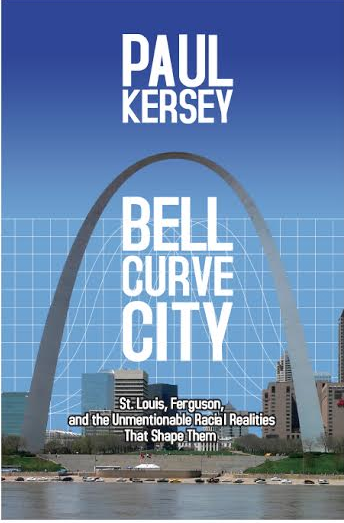 Virtually nothing is available to describe the carnage witnessed in the halls of the St. Louis Housing Authority on December 7, 2007, though it doesn't take a member of Mensa to determine the lawlessness and riot found its origin in those Africans in America determined to find refuge in a white community. Sorry, but this so-called Communist plot isn't worth starting World War III over; but the reality of Section 8 Vouchers and the redistribution of the misery only black people are capable of creating to those white flight communities surrounding formerly thriving major US cities (when white people created the conditions necessary for social capital to flourish in them before black criminality drove whites out) is a cause for a type of mobilization never before seen in human history. And though virtually nothing remains on the Internet about the shocking levels black people were willing to go to on Dec. 7, 2007 in the halls of the St. Louis Housing Authority at 3520 Page Boulevard to apply for a spot on the waiting list for a Section 8 voucher (where people rushed the front door and police stepped in to disperse the crowd), the rumor of what occurred leaves a hilarious residue for those willing to concede what is coming for those applying for a voucher in 2015. Section 8 Vouchers are nothing more than the federal government ensuring that those engaging in white flight inevitably encounter the exact reality of what they fled in the first place. Both major political parties are aligned against us and dedicated to the slow eradication of our future via high taxation, while disinformation campaigns in academia and from news organizations disseminating a steady stream of hostile white images means agitated (and aggressive) blacks. And winter is soon to end. Jack Frost is leaving. A leader of a community outreach group warned fact-finders for a federal civil rights agency Monday that warm weather could spark more street violence in lingering resentment of police shootings. “As St. Louis walks into this next warm season, and it’s right around the corner, we’re not ready for what’s going to come out of our neighborhoods,” said James Clark, vice president of the nonprofit organization Better Family Life. Clark participated in one of several panels addressing the Missouri Advisory Committee to the U.S. Commission on Civil Rights. 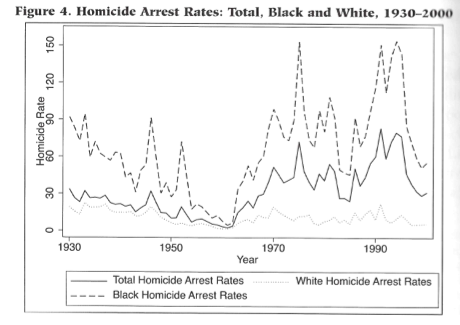 It is examining police use of force relating to race or color. The commission is an independent, bipartisan agency that advises the president and Congress on civil rights matters. It took an active interest here after the shooting of a black teen, Michael Brown, by a Ferguson police officer on Aug. 9. Panels of academics, activists, police and government officials met through the day at the University of Missouri-St. Louis. Public attendance appeared light, about two dozen as Clark spoke. St. Louis Police Chief Sam Dotson said he is being as transparent as possible about shootings by officers and touted creation of a unit dedicated to investigate them.Capt. Mary Edwards-Fears said the department provided a rapid and detailed account when two St. Louis officers fatally shot Kajieme Powell about a week after Brown died. Officials said Powell came at the officers with a knife. Dotson has admitted that in a rush to provide information that day, he passed along an observation of a witness that turned out to be contradicted by a bystander’s video of the killing. The police have not released the officers’ names, something Dotson said he will do once Circuit Attorney Jennifer Joyce has completed her review of the case. Joining Clark on a panel of activists earlier in the day were Charli Cooksey, with the Young Citizen’s Council of St. Louis; J. Alfredo Chavez, with Latinos en Axion St. Louis; David Nehrt-Flores, with Missouri Immigrant and Refugee Advocates; and the Rev. Traci Blackmon, with Christ the King Church in Florissant. Brown’s killing also “emboldened the black population,” Clark said. Clark established himself in poor black communities for his work with at-risk youths, helping them to find jobs and social services, such as counseling. “They feel they can openly confront police officers; it’s a growing trend,” he said. As protests have continued, Clark said he has seen police become less inclined to speak with and listen to demonstrators. “We can’t have police become complacent and apathetic,” he said. One hundred years ago, St. Louis had a population of 687,029. It was 93 percent white and six percent black. Today, St. Louis has a population of 319,294. It is 49 percent black and 43 percent white. White people have long known that once winter ends, the hibernating black criminality awakens, and with this thawing of low impulse control and poor future-time orientation comes the true black death. The demographic decline of the white population in St. Louis is testament to this reality, with white families fleeing the carnage of black dysfunction and slowly abandoning formerly prosperous communities to Africans in America. 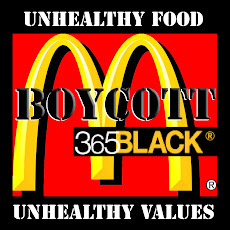 A true Better Family Life organization would be one dedicated to improving the quality of life for white people (and their progeny), but in Black-Run America it is one of those uniquely black nonprofit organizations kept alive via tax donations from corporations (a bank purchased $13 million in tax-credits to assist this "organization" in buying up a building in heavily black North St. Louis to use as its headquarters...). Better Family Life, Inc. (BFL) is a community development 501(c)(3) corporation dedicated to the prosperity and growth of the American family. BFL was organized in February 1983 out of a need to find internal solutions to the crises within the African American family. MissionBFL's mission is to plan and establish social, cultural, artistic, youth, economic, housing and educational programs that help to promote positive and innovative changes within the metropolitan St. Louis area. Much of BFL's programming is geared towards people who are unemployed, underemployed, disadvantaged and skill-deficient. 1) FamilyBetter Family Life, Inc. advocates the belief that a cohesive family is the foundation for every human being’s development. It endeavors to rehabilitate individuals on a complete cultural, educational, social, and economic level by helping them become self-sufficient and contributing members of society. 2) CultureBetter Family Life believes that the self-conscious means by which a people creates itself, celebrates itself, and introduces itself to history and humanity is the primary route to personal, family, and group growth and sustainability. 3) Social and Economic GrowthBetter Family Life places a high degree of importance on the social and economic elevation of low and moderate income families, disadvantaged populations, and those who are financially stable, as proven by our record of achievements since 1983. 4) Integrity and AccountabilityBetter Family Life has an unwavering commitment to integrity and accountability in all of its endeavors. Better Family Life is dedicated solely to the improving of black lives in the city of St. Louis, one a mere shadow of the metropolis that existed in the 1910s (with much less than half the population of the city that was 93 percent white in 1915). And yet the quality of life in St. Louis has continually declined as the city becomes blacker and blacker (and less white). With James Clark, vice president of the nonprofit organization Better Family Life, basically blackmailing the city of St. Louis with a threat of black violence (unless more money is pumped into his fraudulent organization) once the winter weather warms, the reality of what black criminality represents becomes clear: the slow, inexorable death of the civilizations Europeans have created in America. 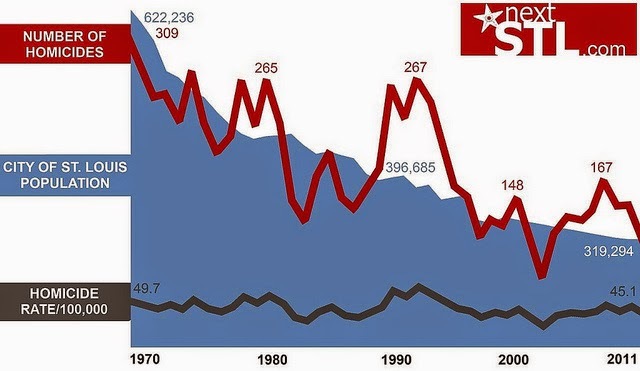 You'll notice this article is peppered with a graph of the racial breakdown of St. Louis' population from 1910 to 2010; images of homicide rates from NextStl.com showing population decline in the city; and the homicide rate for the white population and the black population from 1930 - 1990 courtesy of The book St. Louis Metromorphosis: Past Trends and Future Directions (edited by Brady Baybeck and F. Terrence Jones), published in 2004 by the Missouri Historical Society Press. These two images and Excel graph tell the story of the reality of the black death in America for the city of St. Louis. And as the leader of an exclusively black community outreach group warned those already convinced of the evil of white people masquerading as fact-finders for a federal civil rights agency that warm weather could spark an increased black intifada of street violence in St. Louis over lingering resentment of police correctly interpreting the law, the racial decline of the becomes clear. Civilization can survive earthquakes. It can survive floods, tornadoes and hurricanes. Hell, a volcanic eruption can even preserve an ancient civilization to exacting detail. Most people fear what's coming. They fear it's the end of the world as we know it. Long ago, I realized the end of this era (Black-Run America) would birth our salvation. If we can only survive its collapse. 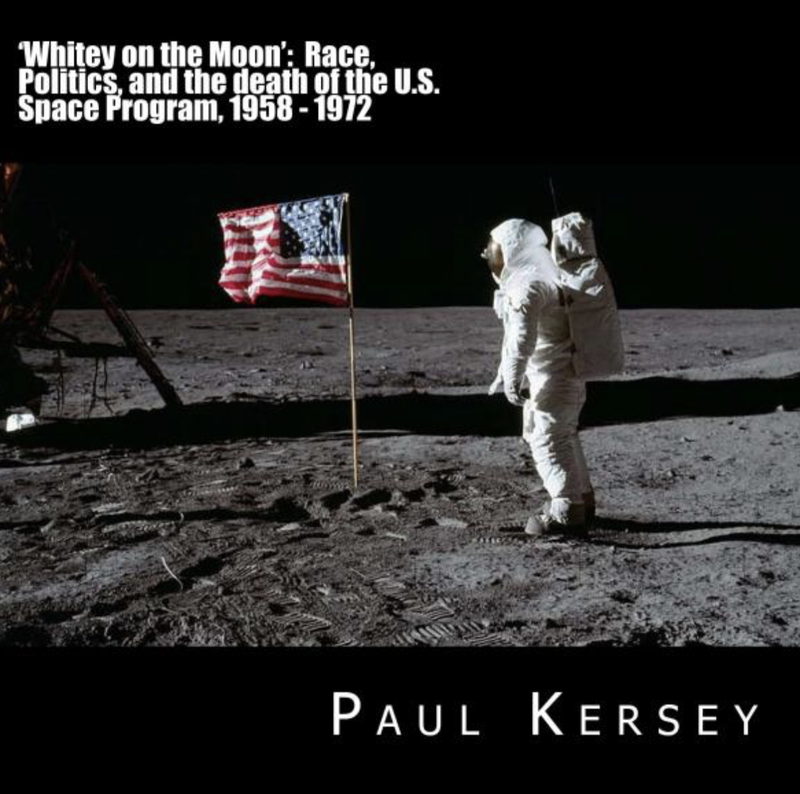 Independent of any central authority, the reality of race begins to reassert itself. Perhaps it's premature to dub these times the end of days of Black-Run America (BRA); but it would be foolish to not consider the incredible implications of what's going on gentrifying New Orleans communities as they prepare to combat almost entirely black crime... without the states blessing. Before we continue, some racial demographics of those four New Orleans communities prepared to tax themselves (extra) to pay for security the police - whose salaries their tax revenue already funds - can't provide. As the cracks in this age slowly begin to appear, the seeds of a new order speedily begin to emerge. 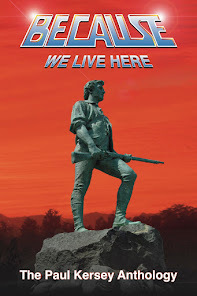 Remember, the state has only one fundamental role: protect private property rights, thereby ensuring communities can form. And never forget, the official state philosophy of BRA is the redistribution of black people to communities suffering from an abundance of social capital, so that no true community can survive. Nothing lasts forever. Not even Black-Run America. With New Orleans Police Department staffing well below its ideal level and fear of crime on the rise, four neighborhood groups along St. Claude Avenue are talking about creating a private security district that could stretch from Esplanade Avenue to the Industrial Canal. The proposal is expected to be put before the voters in the Marigny, Bywater, St. Roch and St. Claude neighborhoods by the end of the year and could be followed by an attempt by French Quarter groups to establish their own security district. Dozens of such districts already dot the New Orleans landscape, providing neighborhoods with state-created structures to levy taxes or fees to pay for and manage private patrols. If it is created, the downriver district would be among the largest of these organizations. The proposal for the St. Claude Avenue district is being floated as concerns about security have spiked along with an increasing number of armed robberies and other violent crimes. Those concerns have been felt acutely in the downriver neighborhoods due to several random beatings and other attacks in the area. “This will allow the neighborhoods to revive and rebuild and establish themselves without the specter of crime keeping them down,” said Jonathan Rhodes, a board member of St. Claude Main Street who has been spearheading the discussions with the neighborhood groups. French Quarter groups also are contemplating a security district that would encompass their neighborhood, providing a permanent source of funding for increased patrols. A similar plan was proposed in 2010 but was rejected by the voters, with 65 percent voting against it — one of the few times such a proposal has been defeated in New Orleans. Neighborhood leaders have been meeting with Mayor Mitch Landrieu since earlier this year on the crime problem, working on proposals that include extra police details on Bourbon Street that are funded by business groups as well as having additional NOPD officers assigned to the Quarter. Bob Simms, who is in charge of the French Quarter Management District’s Security Task Force, said that group is focused on short-term solutions and finding private funding for additional details for the whole Quarter. But, he said, a formal district is one of two or three proposals on the table to provide a way to improve the police presence in the Quarter until the NOPD is better staffed. “We all recognize that we’ve got to have a more visible police presence if we’re going to deter crime,” Simms said. You don't need a more visible police presence to deter crime; you just need to remove black people from your community and the primary contributors of criminality are gone. The sooner you realize the old paradigm of right/left, Republican/Democrat/Libertarian no longer matters, the faster along the path of true salvation you'll be. Just like those white people in gentrifying New Orleans are attempting to assert European civilization back in areas where Africans in America have long extinguished it... by establishing their own security district. To paraphrase an instrumentally pleasing Pink Floyd song, "Is it only a dream that there'll be, only turning away?" Why even bring this song up (On the Turning Away)? But to truly understand the melancholy nature of what you are about to read, you must remember there was a time - not too long ago - when those same barren, deserted streets were filled with the laughter of children and the promise of tomorrow. The laughter of white children and the promise tomorrow would be better than yesterday. To truly understand the overwhelming despondency of what you are about to read, recall that once America's white leaders didn't turn away from the plight of black people and erected the Pruitt-Igoe public housing complex in St. Louis to give them a better life... though the ultimate lesson would be one those same white leaders would quickly turn away from ever acknowledging (that no matter the money spent; no matter the infrastructure built to better the lives of blacks; wherever blacks are found in America, Africa in America will ultimately arise). Brick thievery in the once-thriving (when it was filled with white people) now blighted - because it is filled with black people - area North St. Louis is perhaps the most fitting legacy of what Africans in American do to European civilization. They dismantle brick by brick. The houses in the city’s St. Louis Place neighborhood have slowly disappeared, brick by brick — once-handsome homes destroyed by developers and thieves. Over the years, the western edge of the old neighborhood near downtown, formerly a home to the city’s upper class, has virtually evaporated. And soon, if the city has its way, it will be completely cleared to move the National Geospatial-Intelligence Agency to north St. Louis. While vast stretches of the area already are vacant, the neighborhood is flecked with sporadic clusters of proud homes and businesses. Some blocks are populated only by stray dogs, while others contain a house or two. Now, the city hopes the federal government chooses the site for its massive high-tech spy facility over three other potential sites in the region, including a spot near Scott Air Force Base. To that aim, St. Louis aldermen passed a bill authorizing the city to use eminent domain to buy up the remaining homes and buildings as part of an effort to keep the agency’s 3,100 jobs within the city’s borders. One of those houses belongs to Joyce Cooks, a teacher who has lived there for more than 40 years. Cooks’ three-story home, built in 1893, is one of the few left on Warren Street. She has seen the houses around her either destroyed by brick thieves or bought by developers and left to rot. Still, it’s her home, and she wants to stay. The city has promised to pay fair market value for all property in the redevelopment area, bordered on the east and west by North Jefferson Avenue and North 22nd Street, and sell it to the federal government. A city official pledged last week that the city wouldn’t force property owners to sell if the site isn’t selected for the new facility. Homeowners in the neighborhood argue, however, that such an arrangement would leave an uncertainty over their property until the federal government makes a decision, which isn’t expected until 2016. The city says it will appraise each property and use that as a starting point in negotiations. Homeowners can also get their own appraisal. The city promises to pay at least market rate or higher, in addition to moving costs. Cooks says the money won’t be enough for her to find a similar-sized home. The city promises that it will try to keep homeowners nearby, if they choose to remain a part of the community. Just south of Cooks’ home is a large wooded swath that creates a rural feel in an urban area with views of downtown. It formerly housed the failed Pruitt-Igoe housing complex, which was the original proposed site for the Geospatial Agency structure. Officials said they had to expand from there because the agency required more room for its facility, and now none of the development will actually occur on the site. They hope the neighboring federal facility would spur development on the site.Pruitt-Igoe’s giant towers once loomed over this neighborhood. And, in many ways, they still do. Pruitt-Igoe is central to the city’s argument for the Geospatial Agency to stay in St. Louis. Local officials have said the failed federal housing policies of the 1950s that led to the rise and fall of Pruitt-Igoe is one reason to give a boost to the city now. Earlier this month, 5th Ward Alderman Tammika Hubbard, who represents the area, pleaded with aldermen to support the city’s relocation effort of about 50 homes and businesses. City officials further argue that the location falls within President Barack Obama’s “livable communities” initiative, which aims to foster dense urban areas, reduce sprawl and pollution and keep federal jobs near areas served by mass transit. Just north of Pruitt-Igoe sits Faultless Healthcare Linen, a business that received real estate and property tax abatement to move to north St. Louis. It will cost $10 million to $15 million to clear it for the Geospatial Agency. The company employs 146 people at the location. “We look forward to learning more about the overall plan and understanding how we can support the effort,” said Susan Witcher, chief executive of the Kansas City-based company. 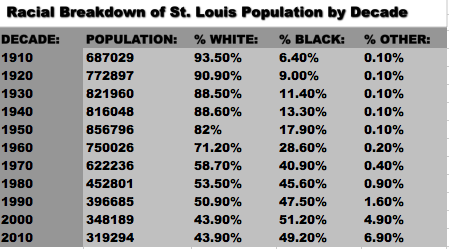 St. Louis Place neighborhood is 91 percent black. Every negative characteristic mentioned in the St. Louis Post-Distpach article that's associated with the 91 percent black community exists because the neighborhood is inhabited by almost entirely by Africans in America. They have taken the European civilization (and infrastructure) they inherited from whites - via white flight from black crime and the depreciating home values associated with rising percentages of blacks in the community - and dismantled it... literally brick by brick. The houses in the city's St. Louis Place neighborhood have slowly disappeared, brick by brick — because of individual black people collectively imposing their genetic fingerprint on an area where once-handsome homes were built to shelter generations of white people. Over the years, the western edge of the old neighborhood near downtown, formerly a home to the city’s upper class, has virtually evaporated because white flight drained the vitality and genetic material necessary to maintain this now 91 percent black community (sic) where vast stretches of the area already are vacant and some blocks are populated only by stray dogs, while others contain a house or two. In a span of roughly 100 years, since The Birth of a Nation debuted, the white past of the St. Louis Place neighborhood has been all but erased by Africans in America, who hilariously were responsible for the razing of the Pruitt-Igoe public housing complex built in the same area. No, it's time we turn away for good and realize the lesson to learn from St. Louis is simply this: no matter what Europeans in America build, if Africans in America inherit it, ultimately it will regress to the black mean. Brick by brick if need be... "Is it only a dream that there'll be, only turning away?" Previously on SBPDL, we learned about Wilmington, Delaware: a city dying by 'thugicide'. One of the saddest moments in our known history is of those Christians who sought refuge in the Hagia St. Sophia on May 29, 1453. The city of Constantinople had finally fallen to Sultan Mehmet II, and many of the remaining citizens of the city sought refugee in the ancient church, praying to a God who failed to answer their prayers. The church was sacked, with many of those engaged in prayer almost moments before the great doors of the Hagia St. Sophia was knocked open by Janissaries ultimately sold into slavery. Or murdered where stood, still hoping some divine intervention would liberate them from the Muslim hordes sacking the city. In our lifetime, the left in America will face a moment like those poor Byzantium citizens huddled in the ancient Hagia St. Sophia almost six hundred years ago, when all their grand illusions fail. And just like cries of mercy from those Constantinople Christians went unanswered, so will the cries of the left go unanswered by the secular God of their own creation. Gunfire already has claimed eight lives this year in Delaware’s largest city, putting it on track to shatter its annual record for killings. At a time when many large metro areas have seen murders fall sharply, Wilmington’s toll remains stubbornly high. Last year’s 28 killings fell one shy of the high mark reached in 2010 and 2011, city figures show. Murdertown, USA (thanks to black people): Wilmington, Delaware --- the incredible violence committed by black people threatens to drive away corporate America from the city... and turn the city into just another example of Africans in America. 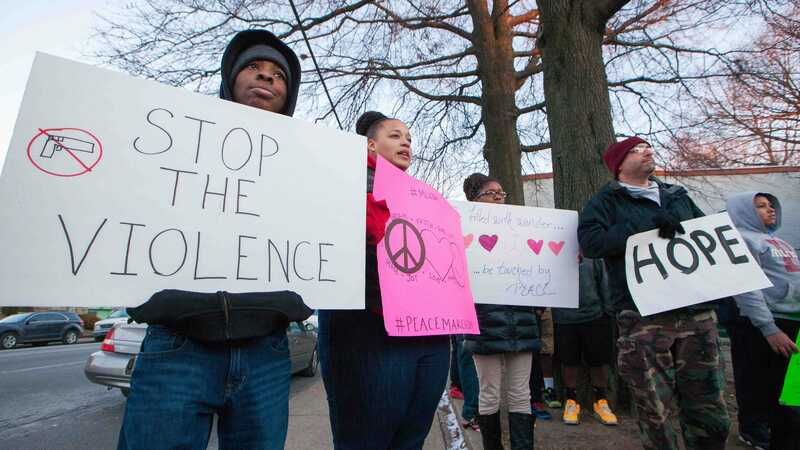 The violence overwhelmingly afflicts young African-American men in poor neighborhoods in the city of 71,000 people. A recent murder victim was a 16-year-old, high-school freshman killed in one of a pair of shootings in late January that also wounded five. The persistent violence also has unnerved some in the corporate community, dominated by firms such as Capital One Financial Corp. and Bank of America Corp. About 17,000 people work in the city’s financial-services sector, many in a downtown area experiencing a burst of residential development. Vice President Joe Biden and his wife, Jill, have a house roughly five miles northwest of downtown. “The fact that there is this problem does impact the city’s overall image when we’re trying to recruit companies to locate here or convince existing companies to stay here or expand,” said state Attorney General Matt Denn, a Democrat who took office in January. At Barclays PLC, which employs 1,600 at the revitalized Christina River waterfront, job recruits routinely ask about crime. “Virtually every one of them brings up the question,” said Clint Walker, managing director of Barclaycard US.In separate incidents last year, two Capital One employees were accosted for their phones, said Alan Levin, Delaware’s economic development secretary. A company executive mentioned the episodes at an October public meeting while discussing a state-funded plan to hire eight more unarmed “safety ambassadors” downtown, according to minutes of the meeting. While no one is comparing the theft of a phone with the loss of a life, almost everyone agrees the spasms of deadly violence must be brought under control. Older residents recall a more peaceful time in the largely working-class city, which had a bustling shipbuilding industry until after World War II and whose downtown was once a regional shopping hub. Now, roughly a quarter of residents live below the poverty line and a similar share of adults have a bachelor’s degree or higher, according to the Census Bureau. African-Americans make up 58% of the population. In late 2013, city Councilwoman Hanifa Shabazz sponsored a resolution asking the U.S. Centers for Disease Control and Prevention to study the surge in gun violence, which she traces to a myriad of factors, including easy access to guns and family dysfunction. A CDC team visited Wilmington over the summer, and a spokeswoman said the agency was reviewing its findings with state health officials. There is no story in the Occidental history more disheartening than the fall of Constantinople; just as there will be no story in our history more heartening than when the fall of the DWL-order (which birthed Black-Run America) occurs. Wilmington is just another chapter in how this story ends. *For those wondering the title of this post, seek out p. 221 of Roger Crowley's 1453: The Holy War for Constantinople and the Clash of Islam and The West to learn of the events that transpired on May 29, 1453, and an ancient prophecy never coming to pass when it was needed the most. Previously in New Orleans' world famous French Quarter, black people were engaging in criminal actions at such a pace to warrant the erection of a sign warning pedestrians to "walk in large groups." In the latest effort to bolster police presence in the French Quarter, a prominent businessman has partnered with civic leaders to launch a new patrol of off-duty New Orleans police officers dedicated to the city's historic epicenter. Sidney Torres IV, the New Orleans businessman who made headlines in recent months for his television commercials blasting Mayor Mitch Landrieu over French Quarter safety, said he is putting up his own money to staff and equip the patrol for at least the next three months. "I'm very confident in this," Torres said by phone Friday (Feb. 20). "If it works, and I have a good sense it will, funding is not going to be a problem." The pilot program calls for three off-duty NOPD officers to patrol the Quarter in all-terrain vehicles equipped with lights and sirens. But unlike a similar plan to place off-duty NOPD officers on patrol along Bourbon Street, Torres' plan includes a smart-phone application designed to connect citizens and visitors of the Quarter directly to those patrols. Those who download the free app, which Torres said is in its final stages of development, would be able to report in a few taps of their phone screen a crime being committed -- or suspicious activity -- to the nearest patrol officer. A photograph could also be submitted through the app, Torres said. All reports would also go to the NOPD 8th District, which includes the French Quarter. "This is not meant to be a replacement for 911. This is more for real-time intervention," said Bob Simms, who heads up the French Quarter Management District's Security Task Force. The task force, as well as Mayor Landrieu's office, have worked with Torres to craft plans for the patrol. Arrangements are still being finalized, but Simms estimated the French Quarter patrol would likely launch sometime in mid-March. The following month, Simms said, a patrol of NOPD off-duty officers is expected to hit Bourbon Street -- funded by businesses on the bustling thoroughfare with a match from the city and the New Orleans Convention and Visitors Bureau. Both patrols should serve as a complement to existing 8th District officers, Simms said, as well as the quality of life enforcement promised by the not-yet-launched civilianNOLA Patrol and a continued presence from Louisiana State Police. State Police Superintendent Col. Mike Edmonson said his agency plans to keep both a plain-clothes and uniformed trooper presence in the city through the remainder of the year. A contingent of 150 troopers was in town to assist NOPD during the Mardi Gras season. While declining to provide specific numbers, Edmonson said future trooper levels would fluctuate depending on the need. "The critical part is: The criminal element that operates in the city doesn't sit there and say, 'I'll operate when these people are in town,'" Edmonson said. "They're always operating. We'll have to maintain vigilance. The public should see a consistent State Police presence in the city." Both Simms and Torres acknowledge that off-duty patrols and a State Police presence are temporary solutions while the city's police force continues its quest to fill its thinning ranks. It's fitting 2015 is the 10th anniversary of Hurricane Katrina, for no force of nature threatens the stability and civility of a city like its black population. The sheer horror of what is coming with the House of Urban Development's - HUD - sinisterly named Affirmatively Furthering Fair Housing only makes since when you use the city of Ferguson as a beta-test for not only displacing white people, but destroying the equity in the homes of those elderly whites foolish enough to stick around, dreaming of halcyon days returning (liquidating their assets via biological welfare by Section 8 Vouchers). For most people, Ferguson, Mo., will be remembered for one awful August afternoon, when a white police officer there shot and killed an unarmed black teenager, Michael Brown. But that incident was only a snapshot in the town’s long and complicated racial history — a history characterized by entrenched segregation and economic inequality, as well as by familiar and systemic obstacles that have kept black residents from holding positions of political power. Ferguson’s population is two-thirds African-American, and yet its mayor, city manager and five of its six City Council members are white. So are its police chief and all but three officers on its 53-member police force. The school board for the Ferguson-Florissant School District is much the same: More than three-quarters of the district’s 12,000 students are black, but the seven-member board includes only one African-American. Last month the American Civil Liberties Union sued the school board under the Voting Rights Act, arguing that the way its members are elected blocks minority voters from fully participating in the political process. The method is known as “at large” voting, and lets voters cast ballots for all candidates in the district, regardless of where the voters live. Since the district’s voting-age population is 50 percent white and 47 percent black, and since both groups there tend to vote along strict racial lines, the white voters’ candidates almost always win. Because of white flight and the subsequent erosion of a tax base in the now 70 percent black city of Ferguson (and the scarcity of revenue-producing businesses left in Ferguson), the second largest source of revenue to bankroll the city government comes from traffic court fees and fines. 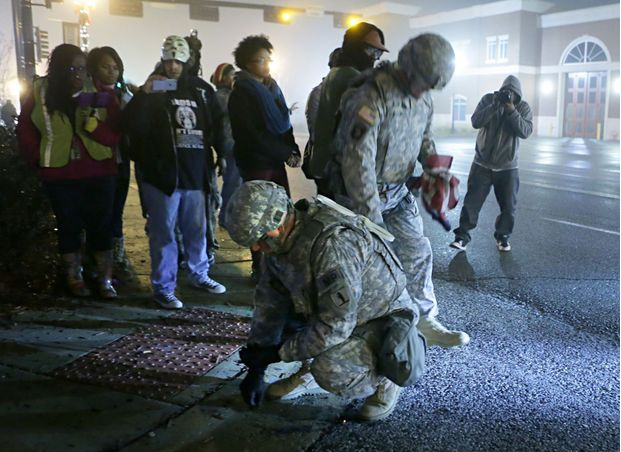 Two white soldiers pick up a burned American flag in the streets of Ferguson. Blacks burned the flag in a city where the Attorney General asserted back in mid-August, “This attorney general and this Department of Justice stands for the people of Ferguson." Property value has depreciated dramatically as the city's racial character shifted, thus property taxes no loner produce enough revenue to keep the street lights and roads paved. Which brings us full circle to Eric Holder's statement about "standing with the people of Ferguson." The Justice Department is preparing to bring a lawsuit against the Ferguson, Missouri, police department over a pattern of racially discriminatory tactics used by officers, if the police department does not agree to make changes on its own, sources tell CNN. Attorney General Eric Holder said this week he expects to announce the results of the department's investigation of the shooting death of Michael Brown and a broader probe of the Ferguson Police Department before he leaves office in the coming weeks. Brown's shooting death at the hands of Officer Darren Wilson has thrust Ferguson into the center of a nationwide debate over police tactics and race relations. The Justice Department is expected to announce it won't charge Wilson for the shooting, but it's also expected to outline findings that allege a pattern of discriminatory tactics used by the Ferguson police. If they don't agree to review and revise those tactics, sources say, the Justice Department would sue to force changes in the department. Asked to comment, Ferguson police Chief Thomas Jackson told CNN's Sara Sidner, "I have received nothing new. "Everything they suggested in the past has been reasonable and we have tried to comply." ​Among the issues expected to be part of the Justice Department's lawsuit are allegations made in a recent lawsuit filed by a group of low-income people who claimed officers in Ferguson and nearby Jennings targeted minorities with minor traffic infractions and then jailed them when they couldn't pay fines. That Michael Brown attacked Officer Darren Wilson, attempting to procure his gun and shoot him in the process, isn't an admissible piece of evidence in the court of public opinion. All that matters is the ghost of Bull Conner was apparently haunting the streets of Ferguson, where an almost entirely white police force dared to keep alive some semblance of European civilization before Africans in America remade the city into just another East St. Louis. With HUD's Affirmatively Furthering Fair Housing, there's a Ferguson coming soon to you... and when it comes, don't expect the National Guard to protect either your home or business. The attention of the police and federal government will instead be turned to those Oath Keepers who foolishly believe a U.S. Constitution still exists to be revered and respected. With this, the Ferguson War Journal is closed; courtesy of Affirmatively Furthering Fair Housing, the war is coming to you.